Yato has managed to rescue Ebisu from Yomi and Izanami, but unfortunately not only did Ebisu die anyways at the hands of the gods above ground, Yato is also still stuck in Yomi by himself. However, Yukine and Hiyori mount a rescue mission and Bishamon enters Yomi herself to rescue the missing god. Is Yato rescuable, and how will his actions affect his relationship with everyone else? Following Ebisu’s narrow escape from Yomi and his dramatic death, the story doesn’t actually have time to wind down because Yato is still stuck in Yomi with Izanami. One of the best parts of the Bishamon arc was definitely the exploration of Yato’s past with Bishamon. However, as the Yomi/Ebisu arc has made clear, Yato has a past that extends far beyond merely his dealings with Bishamon. This volume really plays to the strength of the continued development of Yato’s character in relation to his past actions, and I really enjoyed the way author duo Adachitoka went about doing it. The first half of tenth volume primarily focuses (in terms of plot) on everyone’s attempt to save Yato from Izanami. The rescue mission mounted to bring Yato back makes for some excellent action sequences. All of these are illustrated in dynamic and effective detail, the kind of high quality fans of Noragami have come to expect over the course of the series. The problem that arises, however, is the fact that the only way for Yato to escape is for Hiyori to summon him back from the underworld. To do this, she has to call his true name, knowledge that would lead her to Yato’s previously hidden past. The dynamic of character discovery both in the sense of Yato’s history and in how finding out about it affects his relationship with Yukine and Hiyori is the more emotional part of the first half of the book and is quite effective. Although I did enjoy that portion of the volume, it was really the second half that resonated the most as it served as a bit of a conclusion for the current arc of Noragami. Ebisu’s death at the hands of the gods causes him to be reborn, obviously with no memories of his previous life. During their time in Yomi, Ebisu and Yato had formed a special bond that had caused Yato to be determined to save him, and so Yato perceives Ebisu’s death as a failure on his part. The connection that has formed between the two characters is a relatively unique dynamic that is refreshing as a part of the story for its novelty and surprising depth. On top of this, Yato’s reconciliation with Yukine was a major event in the second half. Yukine’s development from the angst-y and unwilling kid in early volumes to the dedicated blessed vessel of more recent times has been an excellent character transition in and of itself. However, Yato’s seemingly insistent use of Hiiro (also known as “Stray”) and random absences without Yukine have strained their relationship. As the true reason for Yato’s absence (it wasn’t done willingly) becomes clear, the two have a minor resolution in their progression that worked very well, an event that also serves as an effective turning point in Yato’s relationship with Hiiro. One of the most interesting developments that has steadily become apparent over the past few volumes is the emergence of what is likely a primary antagonist for the series. Although there have been individuals such as Kugaha who have played antagonistic roles, the classic puppet master manipulating events behind the scenes has become clear through the exploration of Yato’s past and the events surrounding Bishamon and later Ebisu. The gradual reveal of a villain has been a very well-done way of building tension, and the correlation between the antagonist’s emergence and the increased scope of conflicts has been a very synergistic way of handling the story. The volume concludes without an overly blatant cliffhanger, but sets up nicely for the future dealings with Yato’s ‘father’. Although the Bishamon arc is still my favorite, the end of Noragami’s Yomi arc in this tenth volume was an effective conclusion to what has been a very formative period for the series. The way that character dynamics have shifted substantially and affected their behaviors was an effective source of character development and emotional moments, from Yukine to the more recently introduced Ebisu. Additionally, the lead up to what is seemingly a primary antagonist and the development of Yato’s past have created a suspenseful and engaging story. 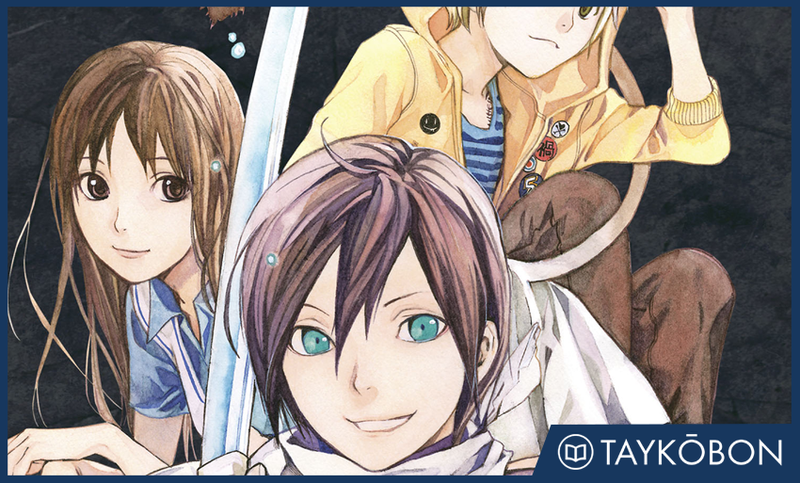 Noragami Vol. 10 was translated by Alethea Nibley and Athena Nibley and published by Kodansha Comics USA on January 26th, 2016. The series is currently ongoing in Kodansha’s Monthly Shonen Magazine, and had an anime adaption by Bones which aired from January 2014 - March 2014 with a second season that aired in Fall of 2015. The eleventh volume was released in English on February 23, 2016.